Would You Rock? 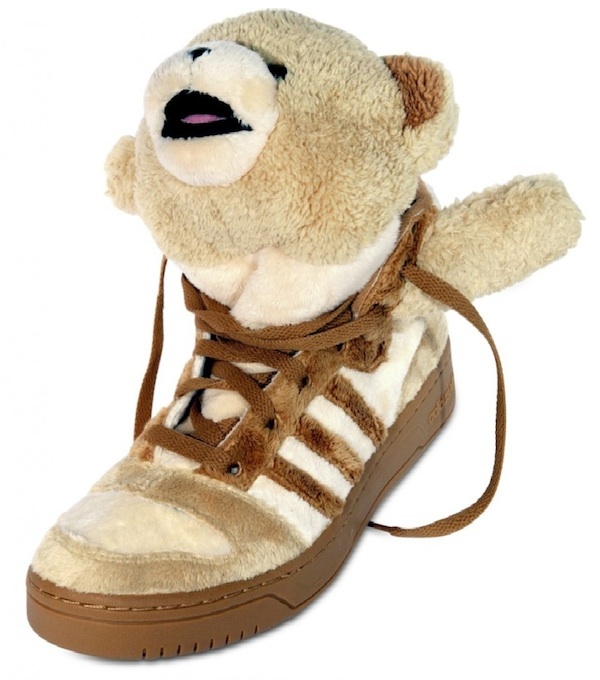 Jeremy Scott x Adidas “Teddy Bears” Edition. New Years’ Eve is always a time to get dressed up. Lil’ Wayne was no exception as he and the Young Money crew performed at BET’s 106th & Party NYE show. 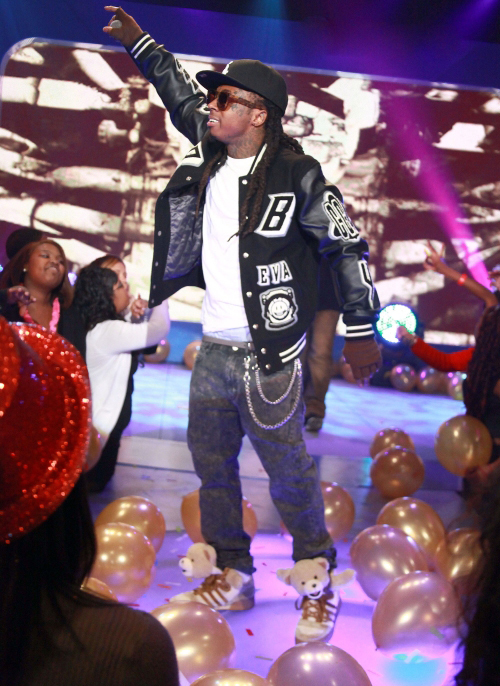 Weezy sported a black and white BBC EVA Varsity jacket, a white tee, jeans, and the Jeremy Scott x Adidas Originals Teddy Bear sneakers. The sneakers retail for $328 and are part of the Spring/Summer 2011 collection. These are a bold choice for the popular rapper but he wears them well. My question to you is, would you rock? Would You Rock? ‘Kanye West in Trussardi 1911 Fringe Sneakers’ Edition. Leave a Comment CATEGORIES | fashion., for the boys. 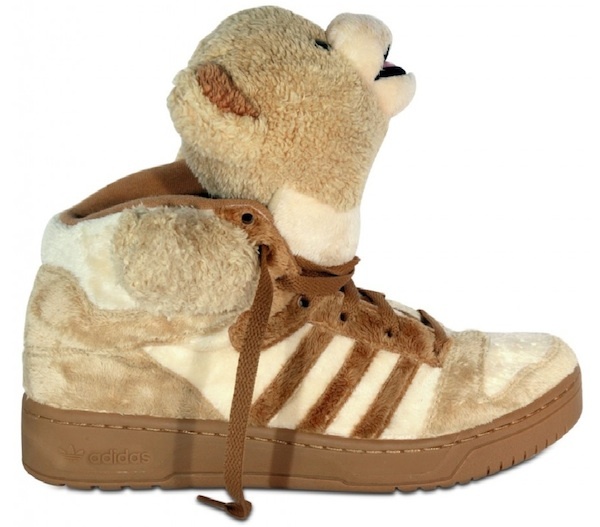 TAGGED: Adidas, Jeremy Scott, Lil Wayne, NYE, Teddy Bear Sneakers, Would You Rock?